love it!!! are you the artist? Your subject reminds me of a eucalyptus trunk… however, the colors are a fabulous excursion into fantasy! Your work is always full of surprises. Thanks for making and sharing. Are we looking at a geological formation? Not quite geological, but earthen for sure. Thanks! I enlarged. Yes “earthen for sure”……. Thank you for sharing your extraordinary work Elan. Beautiful! 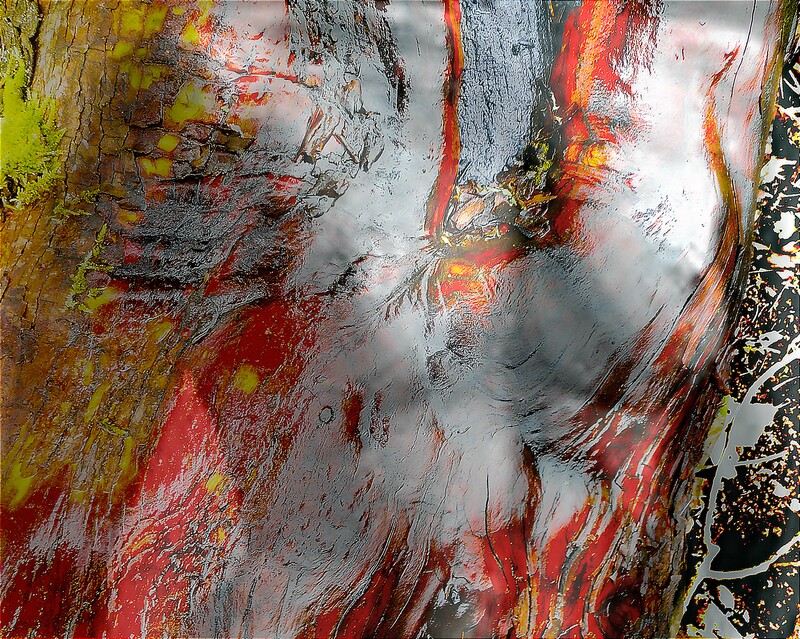 It reminds me of the River Red Gum (eucalyptus tree) bark at certain times of the year. Looks 3 dimensional. Well done. So beautiful. I can look at it for hours without being tired. I imagine it would make great wallpaper. Be my guest. The colors, the shapes! Wow!! Simply beautiful! Funny, I get a better view of the figure from the thumbnail than I do from the full size. One gets lost in the detail.